We are a reputed provider of epoxy coating services,Our epoxy coating services available in different colors and style are durable, seamless, keeping the surfaces free of dirt, dust. Because it is jointless,hygienic,easy to clean, these services are ideal for food, beverage, and pharmaceutical preparation and packaging plants. 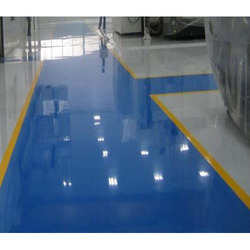 epoxy coatings are a chemically resistant flooring option for manufacturing plants, warehouses, and industrial plants that can improve safety by creating a slip, impact, heat, and fire resistant flooring solution. Looking for Industrial Epoxy Coating Services ?